Robert Fanfant graduated from both U of WA and Washington State University with degrees in Electrical Engineering and Material Science. He worked at Intel Corp manufacturing computer chips, transitioning into software development. Retired in 2014 after a successful career at Applied Microsystem, Microsoft and software consulting. He obtained his novice license (WB7TDU) when 14 years of age, eventually obtaining his Extra license in the mid 90’s. His primary passion is combining his love of travel and chasing DX. Retirement has enabled him to also give back to the amateur radio community by also becoming the “DX”. His other passions include landscape photography, motorcycle adventure touring, gardening and spending time with family and friends. 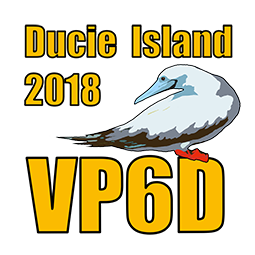 Rob is an active DXpeditioner and has been on the air from Mellish Reef (VK9MA), Willis Island, (VK9WA), Montserrat (VP2MQT), Austral Islands (TX5Z and TX5D), Christmas Island (VK9AN), San Andres (5J0X), Sint Maarten (PJ7/N7QT), Saba (PJ6/N7QT), and Saint Lucia (J6/N7QT).